SAN ÁNGEL, Mexico — In an upgrade that dramatically improves the workflow and quality of its audio system, Televisa in Mexico recently purchased eight HARMAN Studer OnAir 3000 consoles for use in its San Ángel facility. Televisa is the largest media conglomerate in Latin America and in the Spanish-speaking world. Televisa San Ángel is Televisa’s center of production for “telenovelas,” soap operas, game shows and reality television, and handles the majority of post-production work for Televisa. 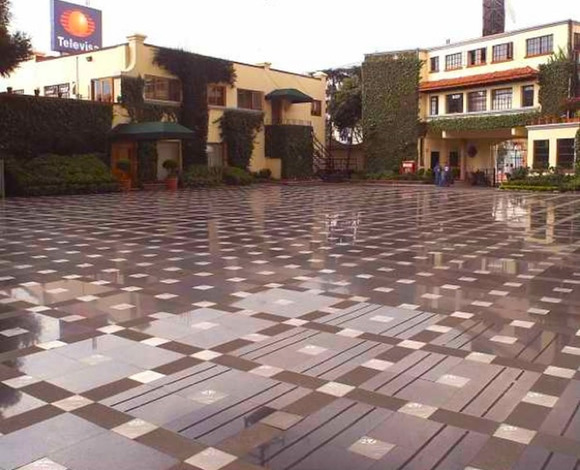 San Ángel also contains the Televisa Center of Artistic Education, whose students form more than 85 percent of Televisa’s production staff. Each of the 18-fader models at Televista San Ángel is being used in separate studios to mix audio for a variety of programming. “We needed special configurations on the consoles because the studios are handling multiple programs,” said Rafael Alfaro Bugarini of Televisa. The Studer OnAir 3000’s range of compact and elegant control surface modules incorporates the same patented "Touch'n’Action" philosophy on color GUI screens. The console has three main stereo mix buses plus an audition facility, four stereo AUX buses, 16 mix-minus sends configurable as AUXes, and three independent studio monitoring circuits and offers full dynamics, EQ and input/output routing in each channel.